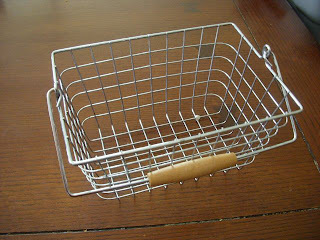 A wire basket from Goodwill, grabbed for $0.69. 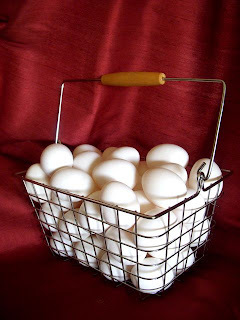 Just washed and filled with eggs, ready for scrambling! 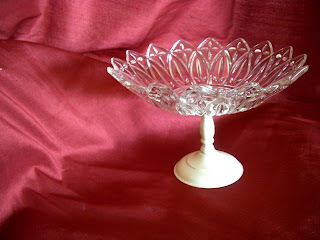 A discolored brass-ish candy dish for $0.99 that I cleaned up and spray painted a creamy white. business glad to bе affiliated with.